This historic financial establishment was founded way back in 1539. 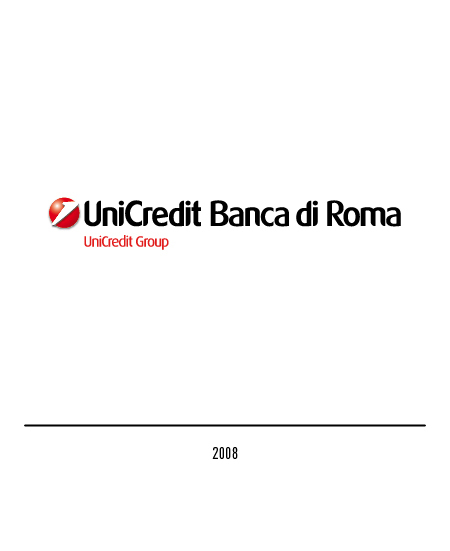 It is now one of the three primary banks of Italy with branches worldwide. 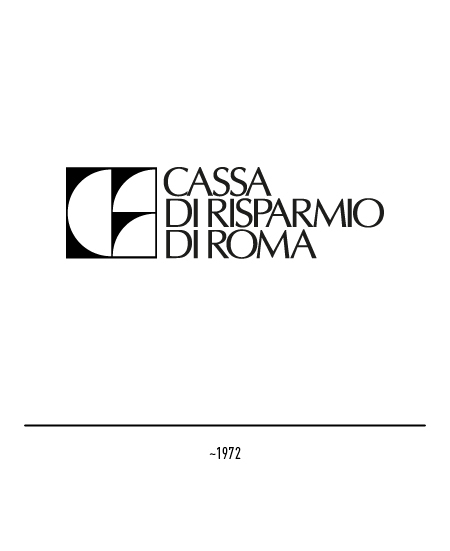 As it is today it was established in 1992 by the merger of "Cassa di Risparmio di Roma", "Banco di Santo Spirito" and "Banco di Roma". 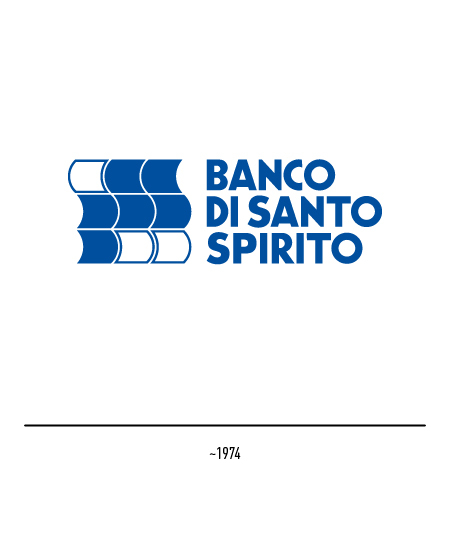 The "Banco di Santo Spirito" was founded in 1605 by Pope Paul V of the Borghese family. In the early years of the twentieth century the Bank's seal portrayed a dove, the conventional symbol of the Holy Spirit, while in the seventies its trade-mark had consisted of the letters of its acronym stamped on the spines of a number of ledgers. 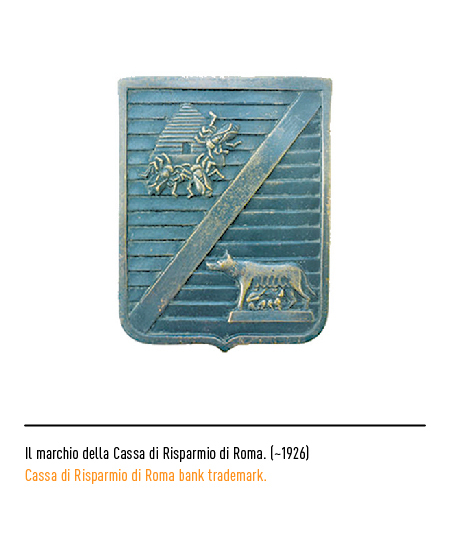 The "Cassa di Risparmio di Roma" was set up by members of the leading families of the Roman aristocracy in 1836. 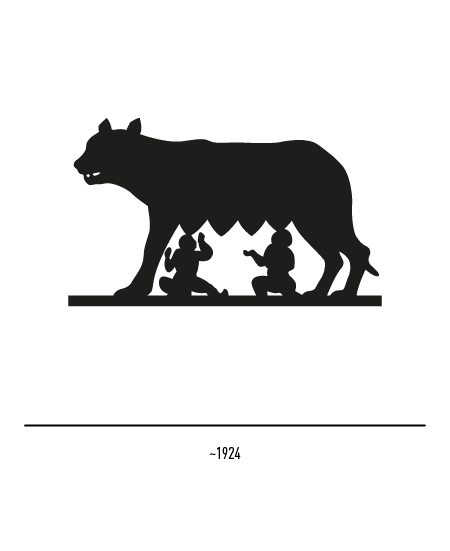 In the early years of the twentieth century its seal portrayed the Capitoline she-wolf and a beehive, a symbol of enterprise. 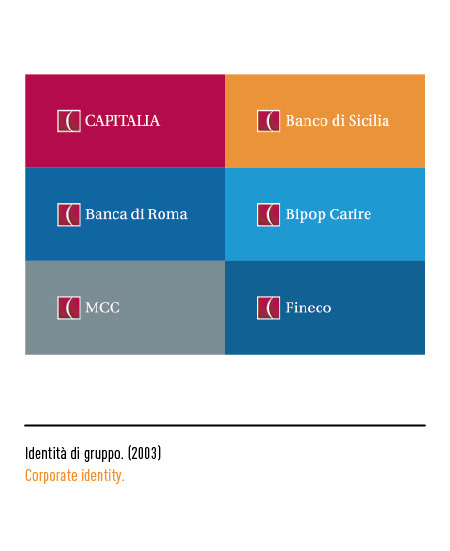 In the early seventies a trade-mark consisting of the letters of the Banks name made up of modular elements appeared. 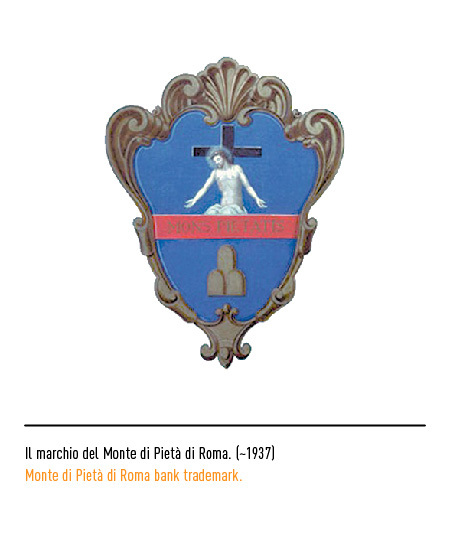 In 1937 the "Monte di Pietà di Roma", a bank founded by Pope Paul III in 1539, was incorporated in the "Cassa di Risparmio di Roma". 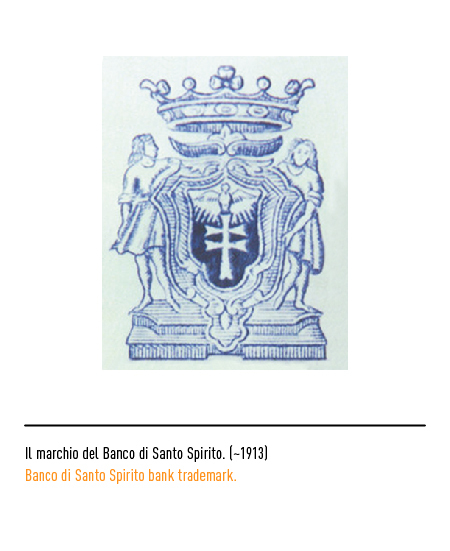 The former Bank's emblem portrayed a Pietas of Christ seated on the Sepulchre. 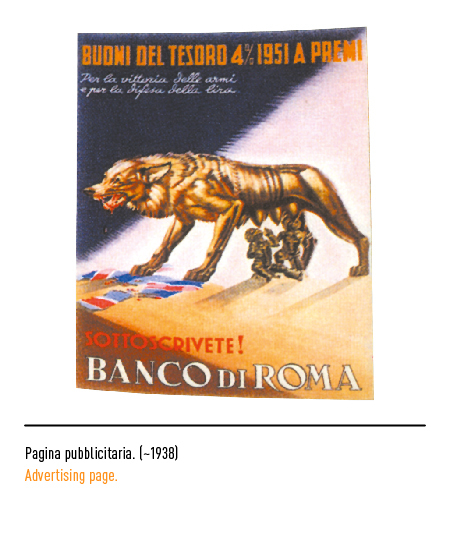 The "Banco di Roma" was established in 1880 and from the start it had great international impetus. 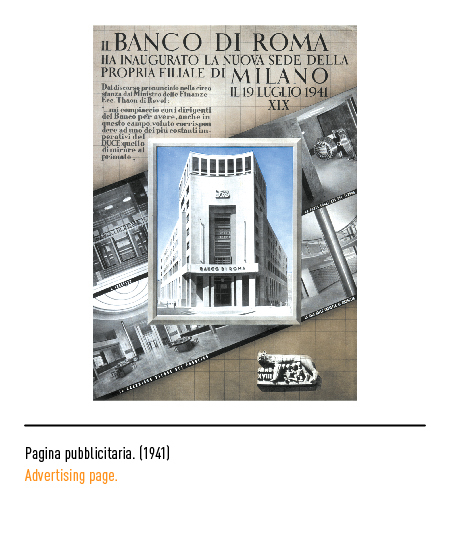 It was in fact the first Italian bank to open branch offices abroad, especially in Italy's Colonial Possessions of the time. 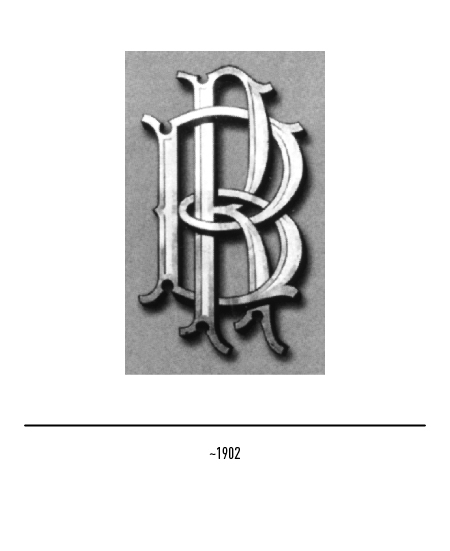 In the early years of the twentieth century is trade-mark was represented by its initials in a typically wavy and curly art nouveau style. 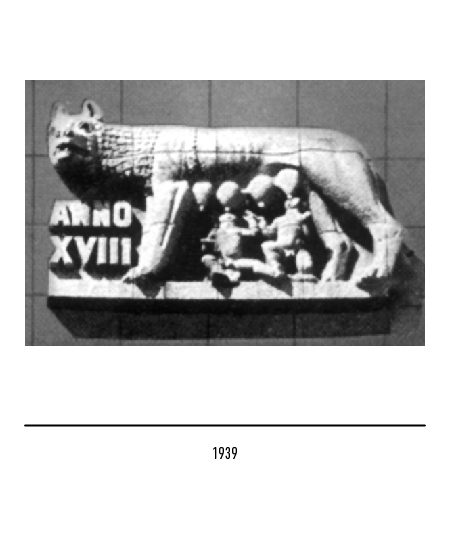 In the early twenties the she-wolf of Romulus and Remus began to appear in print in the Bank's newspaper advertisements and depicted on its building fronts. 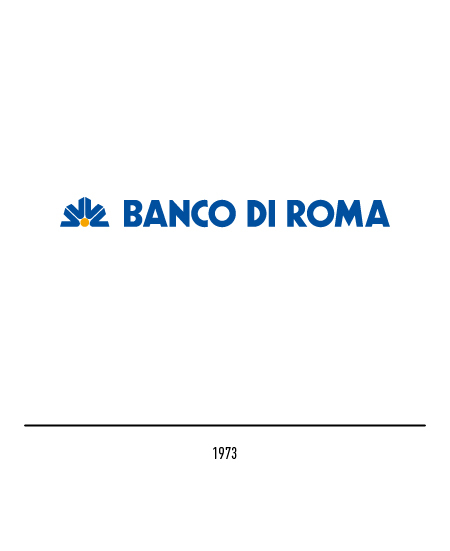 A "Europartners" partnership agreement with Commerzbank and Credit Lyonnais in 1971, to which the Banco Hispano Americano also adhered in 1973, was the occasion for a radical revision of the trade-mark. The new device, the so-called trade-mark of the four winds, was visually very effective indeed. The viewers gaze was cleverly directed towards a centre point by several vector elements covering an arch of a semi-circle. 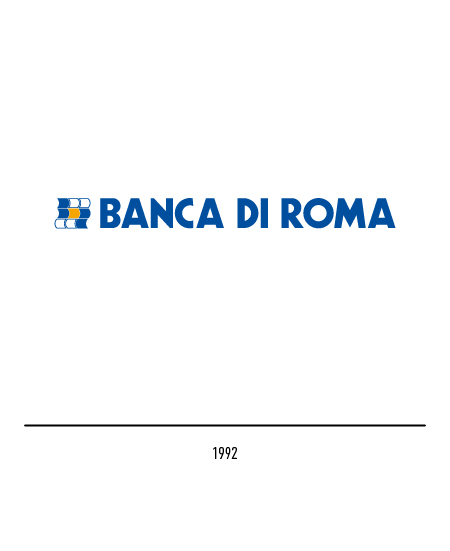 In 1992 with the establishment of the new Bank the "Banco di Roma" lettering was essentially confirmed except for the letter "A" and the "Banco di Santo Spirito" trade-mark was adopted with appropriate changes so as to make the "BdR" initials stand out properly. 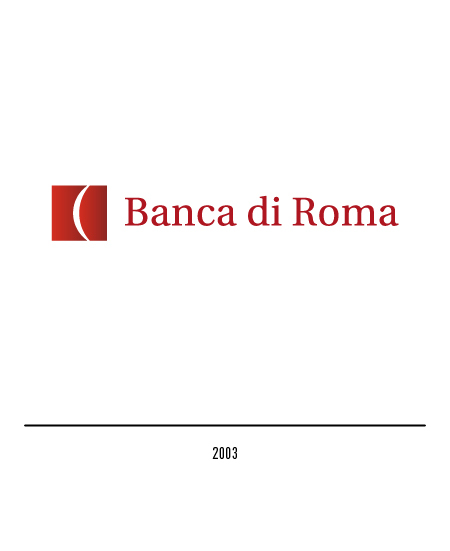 In 2002 the Banca di Roma blends in with the corporation Bipop Carire to give life to corporation Capitalia, with headquarters in Rome. 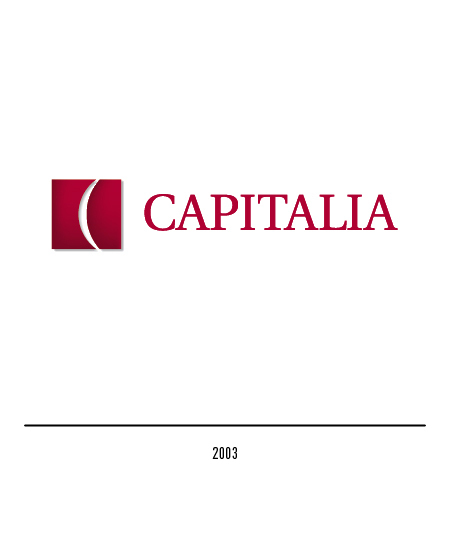 The logo Capitalia had been designed by Inarea: an amaranth square cut by a C-shaped curve; such symbol paired with each and every one of the different logotypes representing the corporation, included the Banca di Roma. 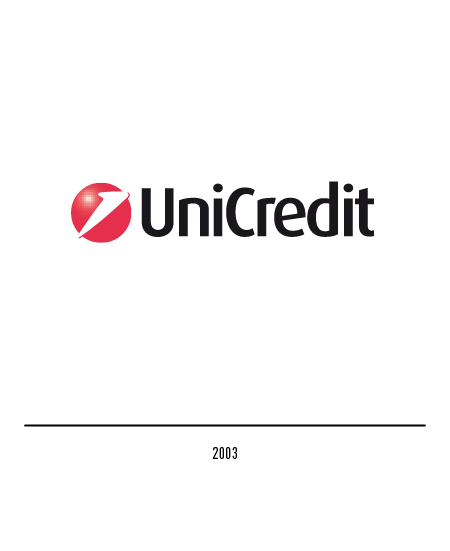 In 2007 Banca di Roma enters the Unicredit corporation; the logo for such corporation had been conceived by Interbrand in 1998 and consisted of a red circle with the number one inside. 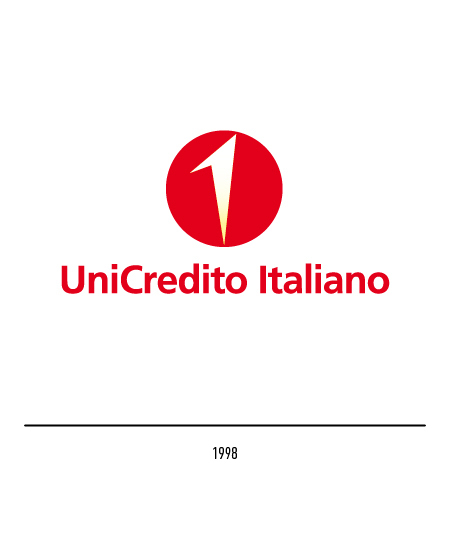 About the latter logo, in 2003 it underwent a restyling: the red circle became a sphere, gaining three-dimensional appearance, while within the number one on the right side is almost launched in the sky, a symbol of growth and flexibility. 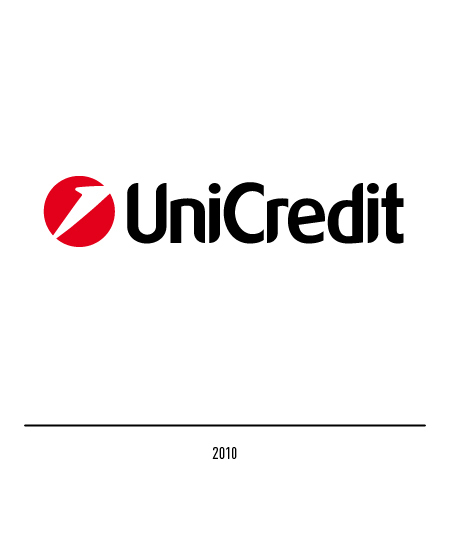 Also, the lettering had been studied exclusively for the denomination of the Unicredit Corporation. 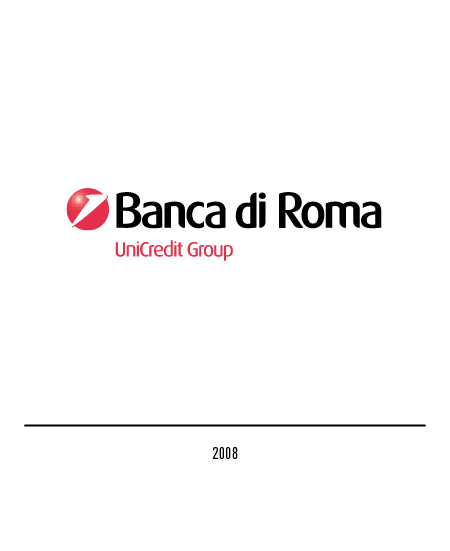 Due to such changes, also the Banca di Roma underwent the same treatment. 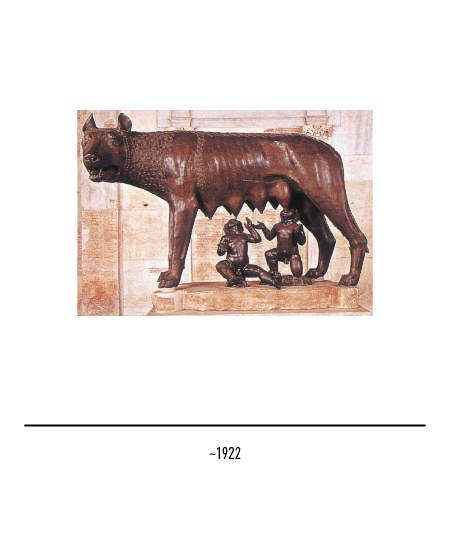 Nicola Corradini, I SEGNI DELLA COMUNICAZIONE AZIENDALE, ETS Editrice, Pisa, 1987. 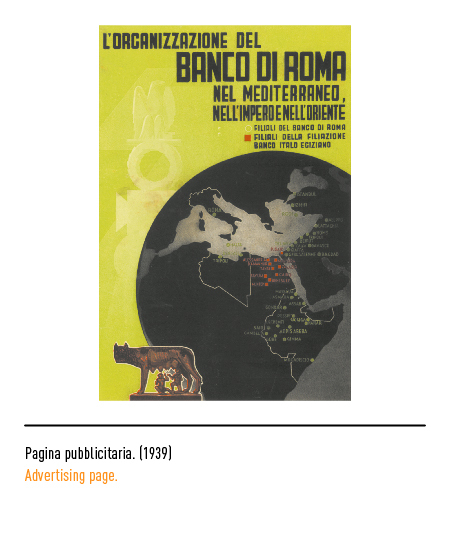 Paolo Gaballo, Fabio Del Giudice, “La memoria nella banca”, in Millenovecento, Editrice Millenovecento, Milano, numero 3, gennaio 2003.